Looking for HostNine promo codes and coupons? #MasterTheWeb and save money today with our exclusive The Webmaster offers. This is a limited time Promotion giving 20% off your first invoice of shared web hosting. Sign up for longer to maximize savings. This is a limited time Promotion giving 20% off your first invoice of reseller web hosting. Sign up for longer to maximize savings. 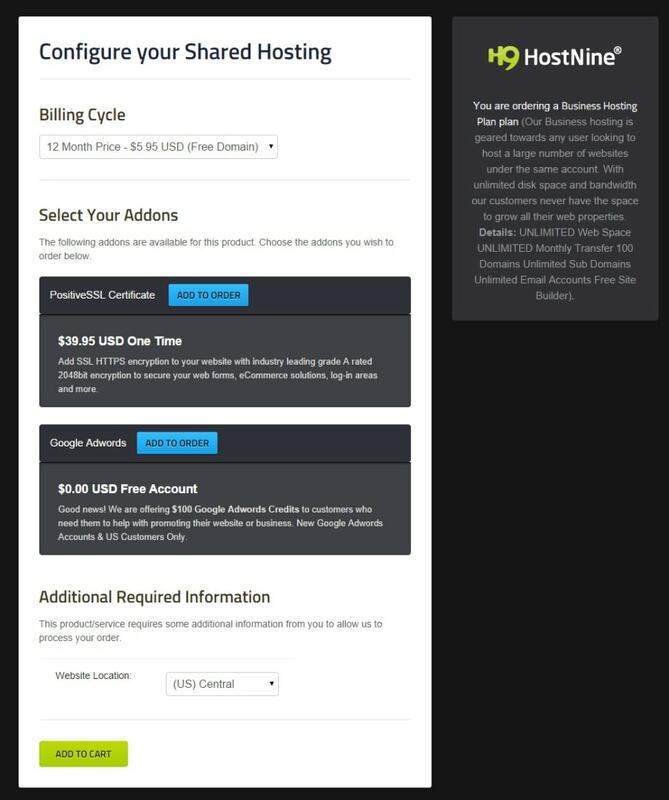 This is a limited time Promotion giving 20% off your first invoice of VPS web hosting. Sign up for longer to maximize savings. 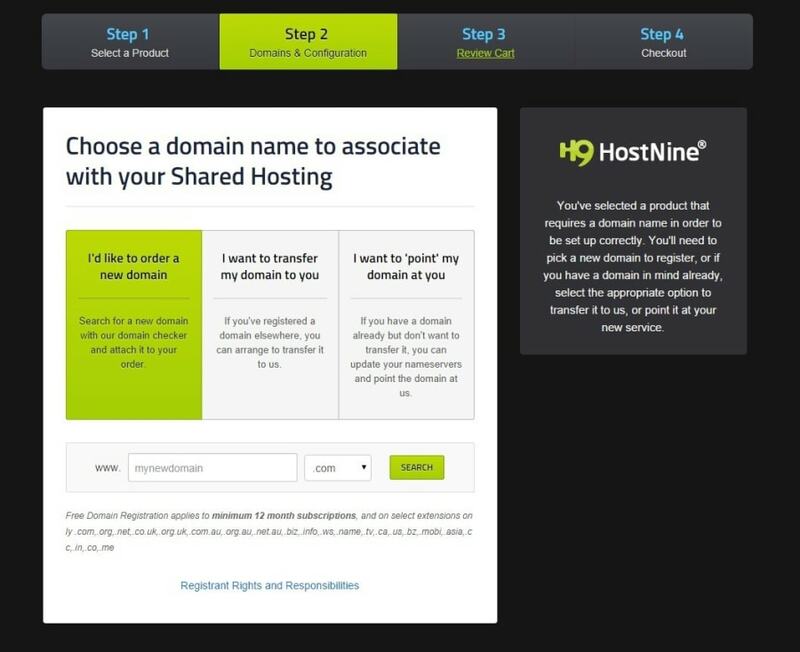 This tutorial shows how to sign up for one of their shared hosting plans with one of our Hostnine Promo Code. The instructions may differ when signing up for one of their other services. Click on the link for your chosen hosting type, and then on the next screen choose your hosting plan. I’d like to order a new domain — If you sign up for 12 months or more, they will give you a free domain. Please note that the cost of the domain will be deducted if you decide to seek a refund. I want to transfer my domain to you — If you wish to transfer your domain to them, this is the option you choose. We recommend that you do not do this as you can get a much better deal with a company like Namecheap. I want to ‘point’ my domain at you — If you do not wish to purchase a domain, and wish to point your existing domain (the one you already own, or one you will order elsewhere) this is the option you should choose. You can then update the nameservers with your domain registrar to point to the designated ones specified in your welcome email. We recommend that you pay yearly, as it works out considerably cheaper in the long term. Not only will you get a discount for paying annually, but you will get our discount on top of this also for even more savings. At the bottom, you should select the server location you require, along with any addons. Choose your billing period and website location © The Webmaster. To ensure you get the benefit of our coupon code and additional money off your purchase make sure you enter the Hostnine coupon in the box at the bottom of the page and click “validate code”. If the Promo code works, you will see the coupon box turn green with details of the discount. 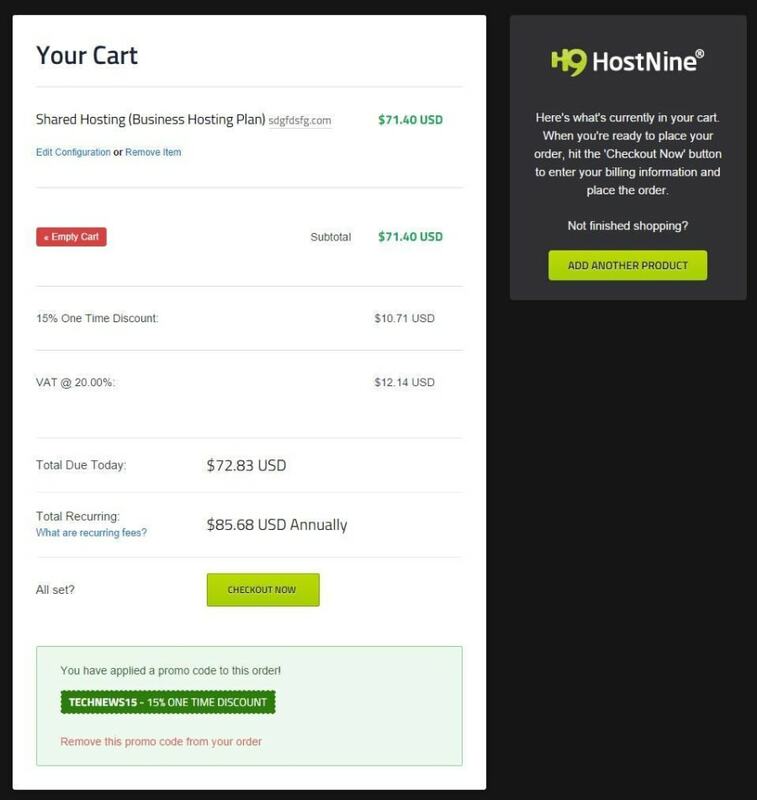 Enter your Hostnine Coupon Code © The Webmaster. Arrange payment for your services. In our experience, the account will be setup instantly, with a welcome mail with all your login details arriving within minutes. Hostnine offer “unlimited hosting”, meaning not advertised limits on disk space and bandwidth. As such there are only a few differences between the various hosting plans, including choice of location, and whether it comes with free SSL, dedicated IP, free domain and priority support. The personal plan comes with no free domain, doesn’t have priority support and doesn’t include a free dedicated IP or SSL. The Business Plan includes everything in the Personal Plan but also includes a free domain, and choice of location (UK, Singapore, Hong Kong, Canada, US (East, Central & West) and Australia. You can host unlimited websites on this plan. The Enterprise is more suitable for those needing SSL & dedicated IP, as it comes free with these things. It also offers priority support. Regarding CPU \ RAM and other resources, there is no difference between the plans. You can pay monthly or even six-monthly, but it costs significantly more should you wish to do so. o you get a free domain? Hostnine offer a free domain with the Business and Enterprise plans. However, only the most common domain extensions such as .com, .net, .org, .uk, .us, .biz or .info are included. 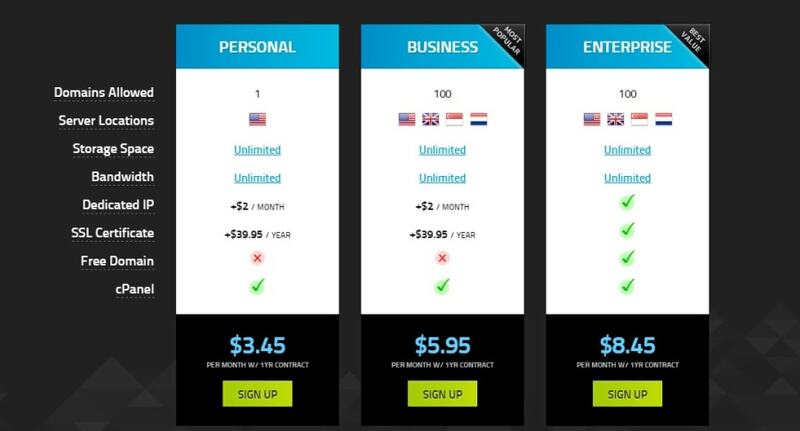 Hostnine have three choices for payment. You can pay by debit card, credit card, or PayPal. During the checkout process, you can select whether you wish for your debit \ credit card to be automatically charged on renewal, or whether you wish for it to be a one-time payment. Yes, they do accept and fully support PayPal. Is there a money back-guarantee? If so how long? Hostnine offer a 45-day money-back guarantee for their shared hosting plans, as well as their cloud VPS and reseller packages. The guarantee only covers the cost of the hosting, as all add-ons \ third party services (including free domains) are specifically excluded. After the 45 days, you can claim a prorated refund that will then be credited to your account. Yes, the cost of hosting will go up once you renew, as the initial discount offered by our Hostnine coupons only applies to the first invoice.